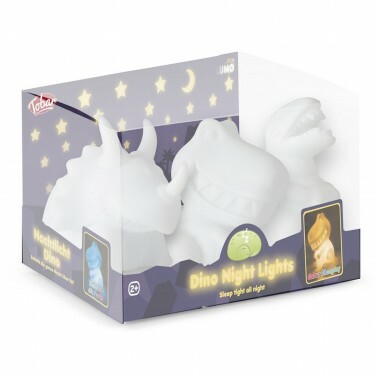 Why have just one night light when you can have three?! 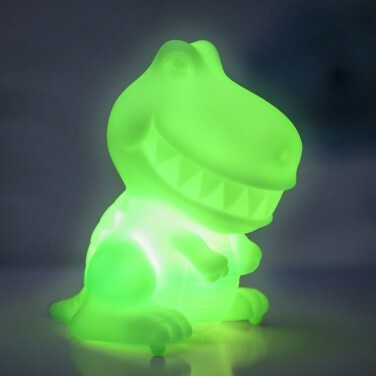 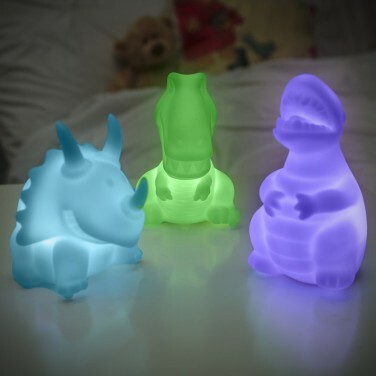 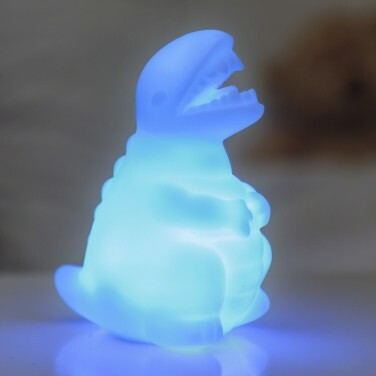 This pack of dinosaur night lights includes three adorable mini dinosaur night lights, each lit with a colour change LED for a soothing, colourful glow. 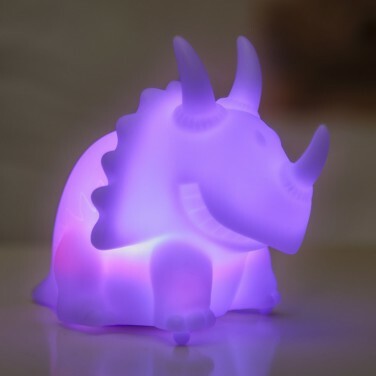 Battery operated, these cool characters can be placed anywhere in your child's room to offer extra reassurance at night and lit by LEDs they remain cool to the touch so that they're safe for even the smallest of hands.